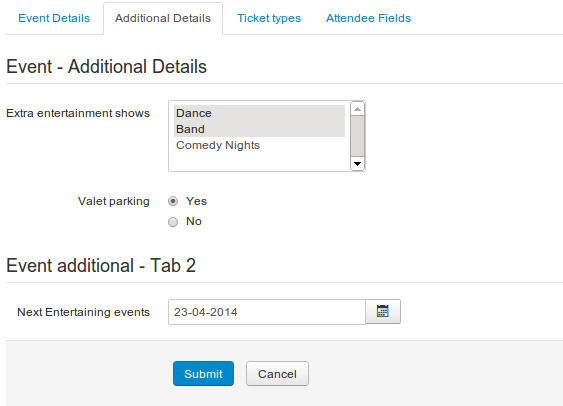 A feature packed event booking system with a native event manager and integration for Jomsocial Events and JEvents. Also features an Android and iOS app for event organisers! Wouldn't it be Awesome if you could let users sell Tickets for their JomSocial Events on your website and you earn a nice commission on every sale? 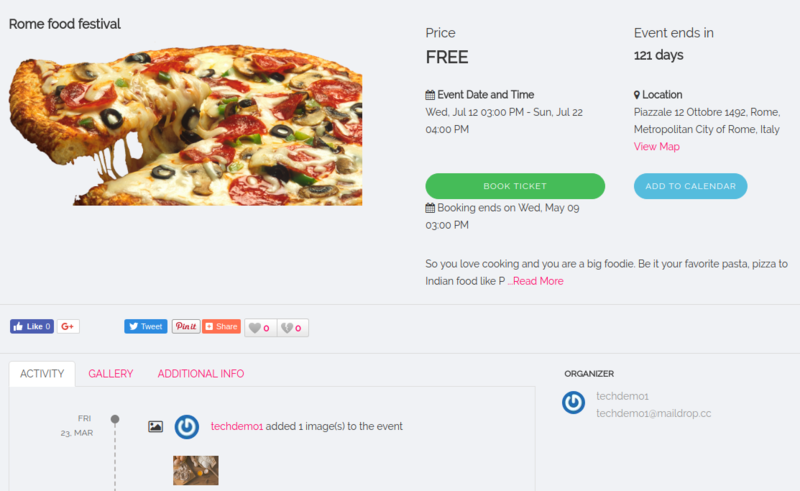 Run your own mini Eventbrite within your own Joomla Site? JTicketing from Techjoomla lets you do just that! JTicketing with its brand new UI, activity stream, google maps and adobe connect integration would certainly be compelling to users. 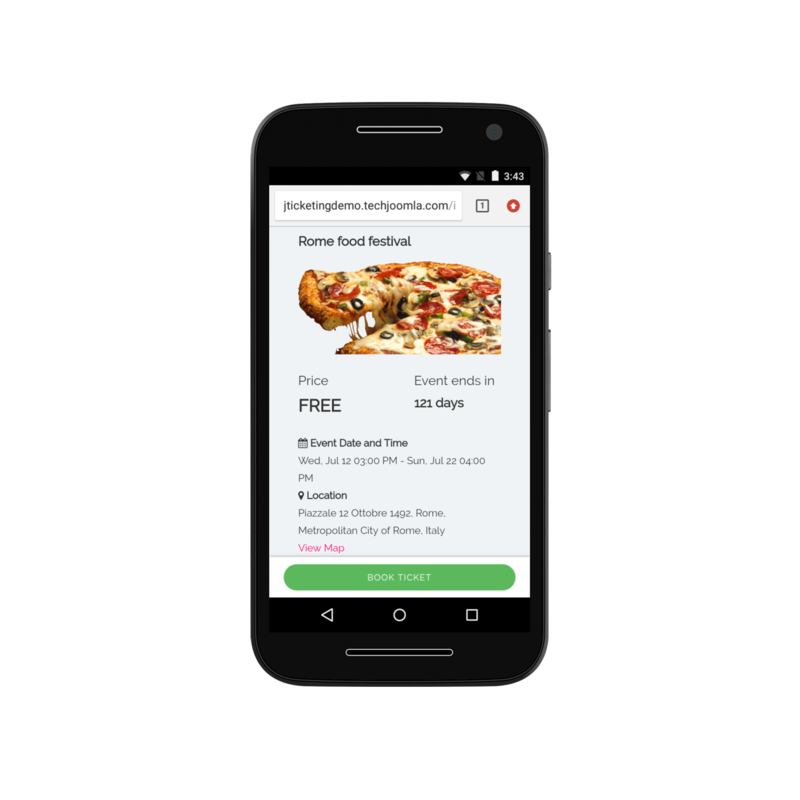 Get this extension today and let your Cash Register start ringing! Use an event Management system of your choice. JTicketing has been built with the ability to scale and support multiple Event systems. Currently, we natively support JomSocial Events, Easysocial and JEvents. There are plans to add support to more systems. If you are a developer, then its even possible for you to build an integration using our helpers to add JTicketing as a ticketing application for your own custom app! We have introduced our own native Event Management system in addition to JomSocial, Easysocial and JEvents integrations. This allows you to use JTicketing standalone if you so wish. In fact, JTicketing has always been written in such a way that the Booking system is decoupled from the Event systems so it can be easily integrated with any Event System. We hope you enjoy the Native event Manager and the freedom of choice to choose! We have built a common field management system that will be shared by all our extensions (and hopefully other extension developers) on the same likes as Joomla's native Category manager. This means that the same field manager can be used in a different context by various extensions. This will pave the way for us to build Field management in our other extensions as well! 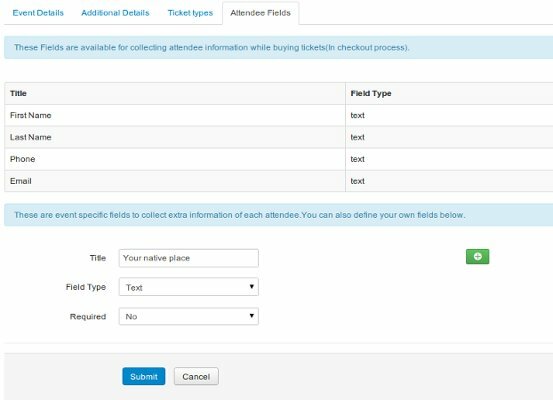 The Native event manager can be extended by the fields you create here to better describe your events. 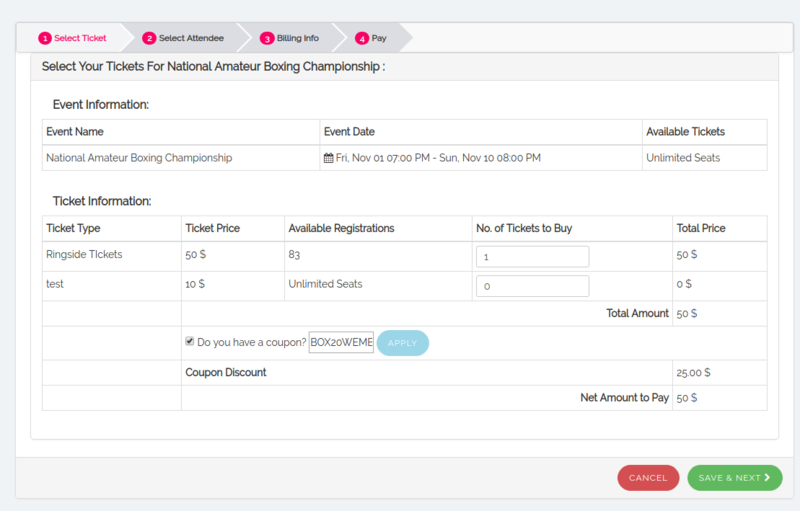 It also allows Event Owners to create Ticket types with varying pricing, availability and descriptions. 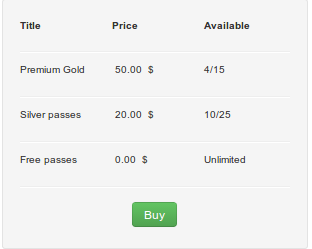 For instance, an Event might Sell Basic Entry Tickets for 20$ and Sell Premium Gold and Silver passes for 50$ and 75$. Event Owners can also choose whether they want to keep an event free or charge a fee for creating tickets. If they chose to make an Event Paid, they are shown options to create Tickets. Apart from the basic, universal information of the attendee, the user is also given the option of Event Specific Fields where some extra information of the attendee can be added. The user can also define their own fields. Microdata plays a key role in SEO today and helps set the context of the content on the page. Because of this, there is no guesswork required for the search engines which makes them pick the correct data from your web page and put it in the best possible way. 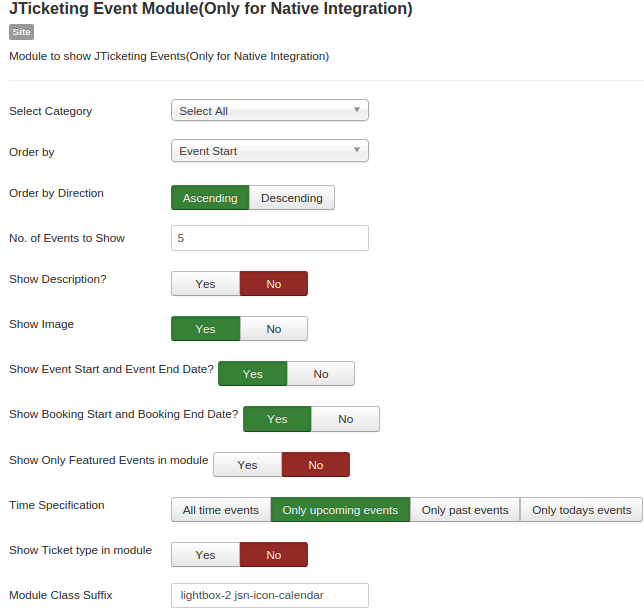 The native event details view for JTicketing supports Rich microdata snippets. What microdata is to search engines? OG tags are to Social Networks. OG tags make sure that the presentation of your content is perfect when shared on Social networks. 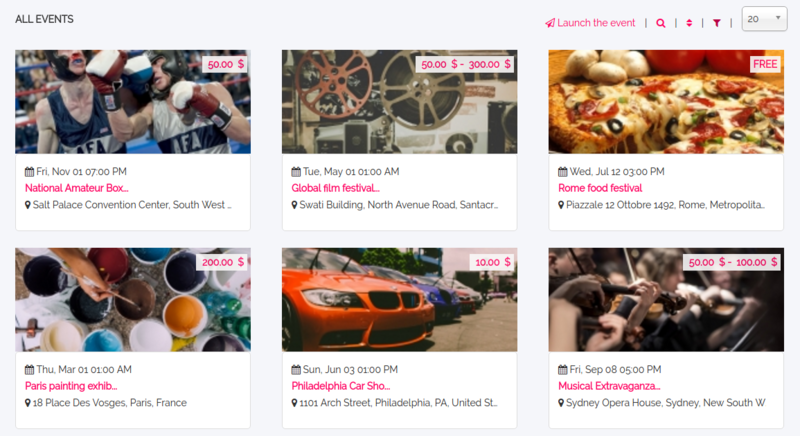 Now you see all the events in a fresh new layout inspired by Kickstarter. 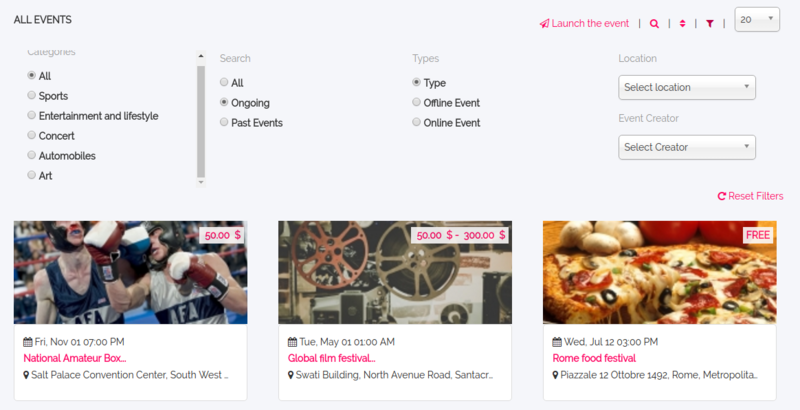 It comes with a great sidebar with lots of filtering options to help your users find the events they want. The multipurpose module will let you choose and show Featured events, Recent Events on any page you want in a slick display. The best use of the module is to make copies of it and set them on different modes to make the Home page of your site. We also have different sorts and filters, ordering options and category quick search available on the frontend to make it easier to find the events of choice. Admin configuration lets you control what you want to make available on the frontend too! 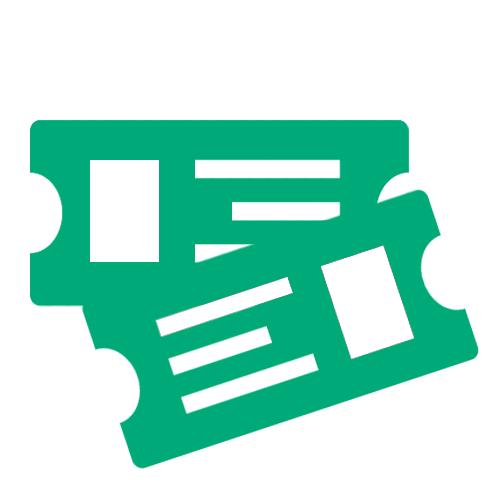 JTicketing makes it super easy to let users buy tickets to events and let them check out as fast as possible. You can also collect attendee data during checkout. All the Event Specific Attendee Fields are used for collecting attendee data. 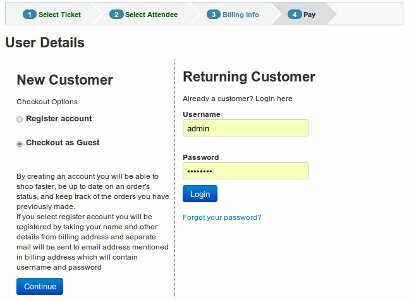 Guests can choose to Checkout as a guest without having to Login or Register or can opt for registration as part of the checkout without having to fill up any extra forms. This flexibility is a great way to increase ticket sales. Our extensions are powered by the 'Joomla Common Payments AP I'. Your Subscription comes with free support and updates for the following plugins. Admin can choose whether to send money directly to the owner (Only Supported with Paypal) or receive money in his account & then make Payouts to the Event owners. The Admin can choose to charge a payment commission fee for the ticketing service. This commission is subtracted from the Ticket Orders received before making payouts to the event owner. The system will generate PDF tickets and email them to buyers after payment completion. The PDFs will be generated as per your Ticket template. Event owners can get a CSV export of all Event attendees from their Dashboard. They can use this export to print attendee lists etc. Awesome IOS and Android App For Event Managers! Let your Event owners take full control of their Events with the JTicketing IOS and Android app for Event Owners. 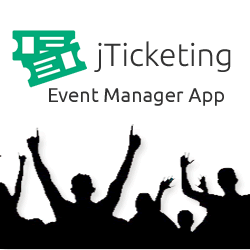 The JTicketing app lets Event Owners/Organisers manage their events easily by Checking in attendees at their Event using JTicketing's awesome Scan and Add and Search and Add Features. Plus Features like viewing Quick stats, multiple sign-in etc makes it a must-have for every Event Site! Available for free on the Apple and Android App Stores. You can also order a completely Self Branded version for your site. Nice Dashboard With Graphs And Stats. Design Awesome Tickets With Rich Data and QR Codes. 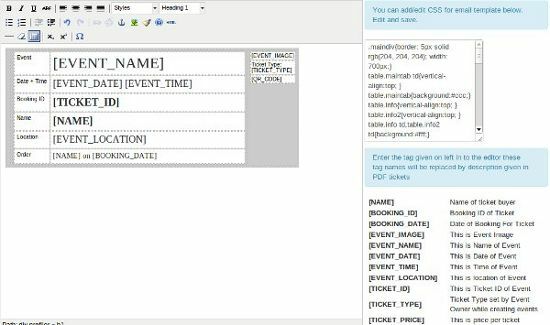 A WYSIWYG Editor with the ability to use Data tags to insert Event information, Event Logo, User information and QR Codes. Plus you can add your own branding and logo etc to the tickets. Visitors can now share content, enabling your content to go viral, which is a priority for the event creators. We have taken the efforts by offering out of the box native sharing integrations with the big 3 Social Networks - Facebook, Google + and Twitter. If this is not enough, you can switch on the Add This integration and get lots of additional sharing options! This view shows all orders view in the backend with event and payment status filter. This shows Attendee List with Payment Status, Preview Ticket and Number of tickets bought. The Admin has the liberty to manually select attendees from the attendee list and send personalized emails to them. 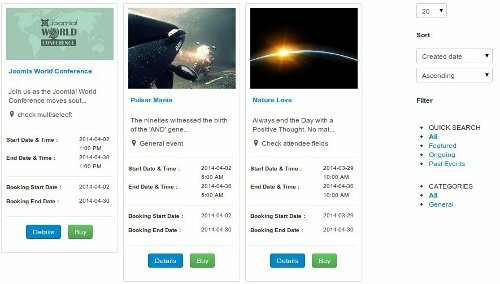 Event Modules have filters so that users will be able to search and sort events with ease based on the Category of the events, Upcoming events and past events. Help your attendees not forget your events by setting automated reminders to be sent before the Big Day! Multiple reminders can also be sent at regular intervals. Reminders can be sent through emails as well as SMSes. 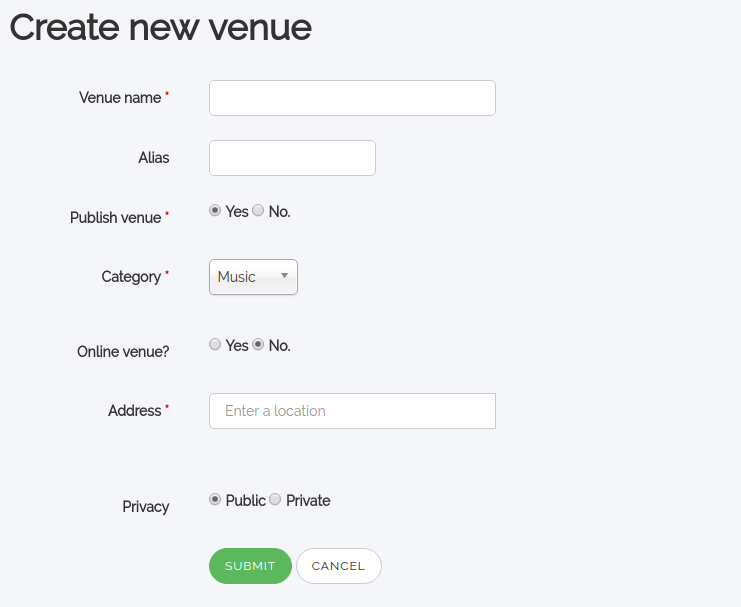 With this feature, you can Manage Venues and link your Events to the Venue. 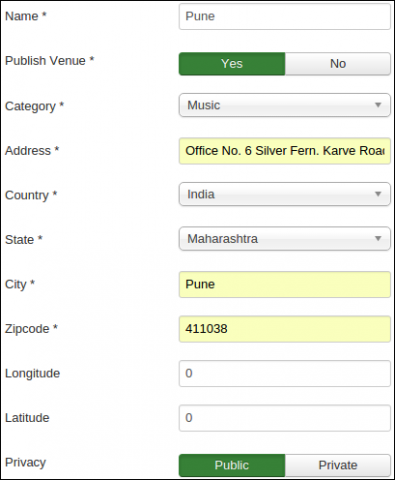 This will allow central management of all Venues & Address data making the event creation form shorter and simpler. We have also added support for Online Venues which provides the needed infrastructure for online events. The online venue structure has been made to support multiple providers via a plugin system. However, with this release, we are supporting Adobe Connect. While the current venues feature is comparatively basic it lays the base for features coming in the future like Sub Venues (rooms inside a venue), Seat Maps etc. This feature supports automatic check-in / attendance for online events. You can configure a threshold time for which the user has to be present in the online meeting for them to be checked in. 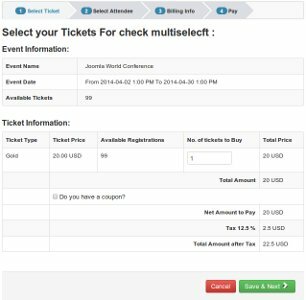 JTicketing is a multi-vendor extension and already supports Fees/Commissions management. With this feature, admins can have specific fees for event owners if they wish to. This is great if you want to give a customised fee deal to some of your vendors. A picture speaks volumes. 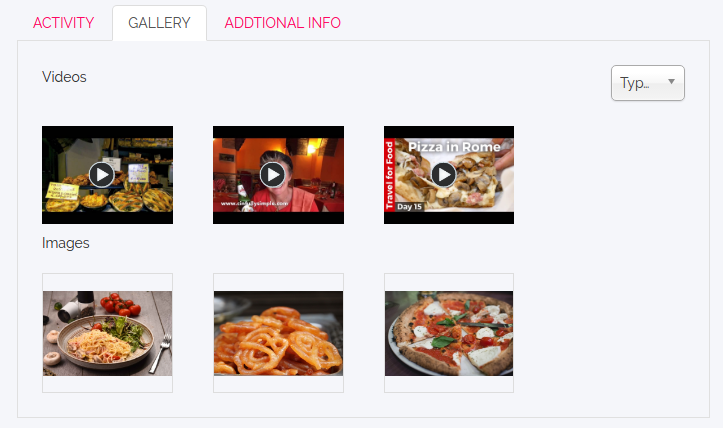 The image and video gallery enable better connect with your audience using images and videos. Using our infra products jlike, tjreports and hierarchy we are powering a whole new set of cool tools for vendors, managers, and admins. Allow Managers, Admins to assign JTicketing Events to users under them. When an event is assigned to a user, the user is also enrolled. JTicketing 2.1 introduces an optional approval workflow for self-enrollment for events. Managers/Vendors/Administrators have the option to approve/disapprove students to the event. 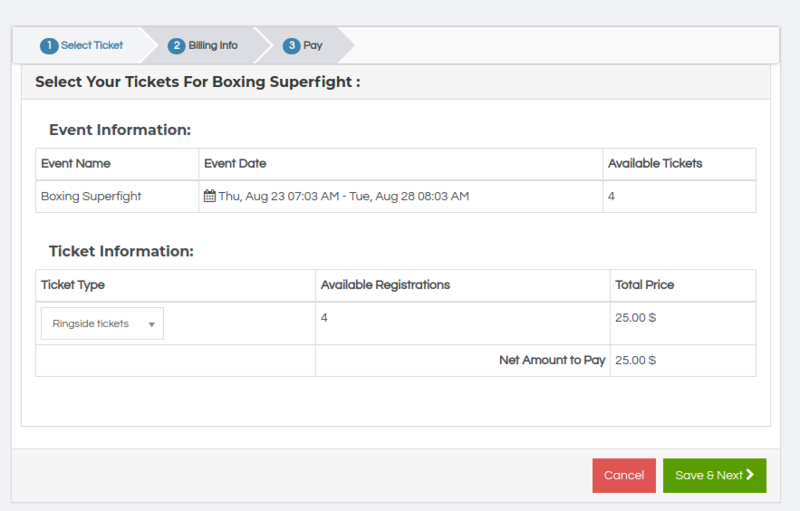 Actionlog plugin for JTicketing allows site administrators to log actions for activities for JTicketing like events, event orders, venues, coupons and attendee fields of the site users. The privacy plugin is responsible for processing privacy related requests to JTicketing. Privacy related requests are related to export and deletion of user data. Get rid of the boring and old fashioned ticket emails. JTicketing has some cool responsive email templates in which your attendees will receive tickets through emails. 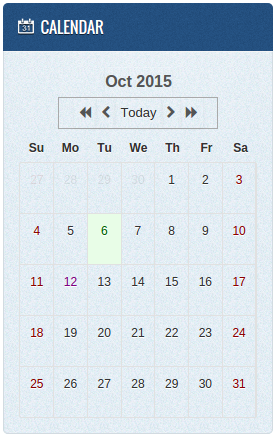 Users will be able to see all the scheduled events in the calendar module just by hovering over that particular date. After selecting the event you will be redirected to the event details page where you can buy tickets. This markup helps Google identify key elements in the email content like Event date and time, Venue etc. With this data Gmail can show the email in a special way it does for events, airline tickets etc. Plus this data could also be used in Google Now. Google Maps Integration enables Jticketing users to see the event venue location and navigate directly. Users can view the distance of the event from their current location through Google Maps. Easy to keep a track of the user’s current distance from the event location. Event owners can add their own venues along with choosing if the venues will be public or private. Private venues can only be used for their own events. Users can add the event to their Google calendar and outlook calendar. 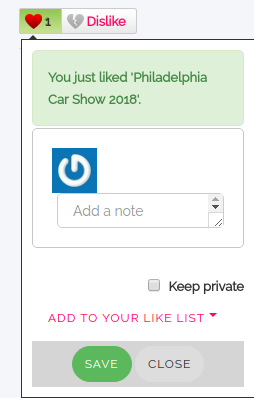 This would serve as a reminder for the users for their favourite events that they want to attend. JTicketing 2.0 introduces the activity stream. Let your users have an insight regarding the latest event updates at just a glance. JTicketing 2.0 introduces a fresh new UI for the event pin views as well as the detail views on the lines of JGive 2.0. A feature to 'Buy More tickets' if a person has already bought one or more tickets to the event. 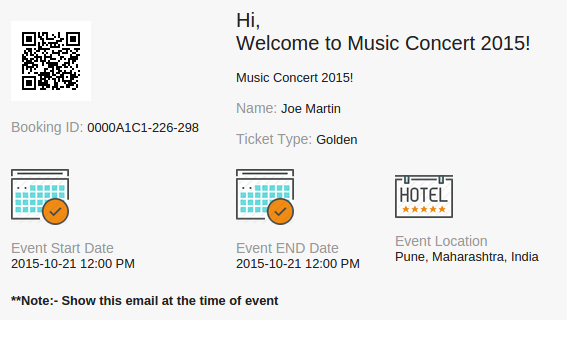 JTicketing 2.0 brings forth a tight jLike integration with which you can set reminders for the events. A stylish and attractive dashboard lets the event owner get a quick view of important statistics about his event and also post updates about the same. 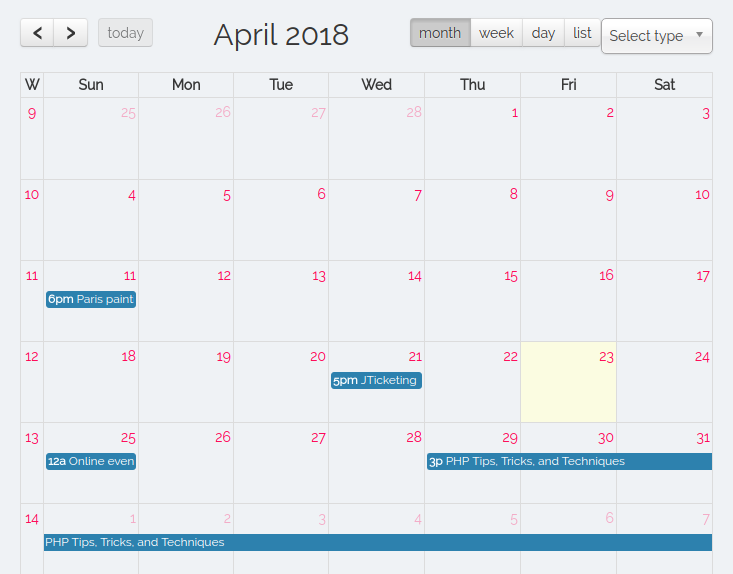 Blended My Calendar view shows a Calendar of all the user’s todo’s which include JTicketing events. This feature lets you restrict the number of seats to 1 ticket per user. This feature is vital for classroom training as user needs a simplified checkout flow to register for the event. 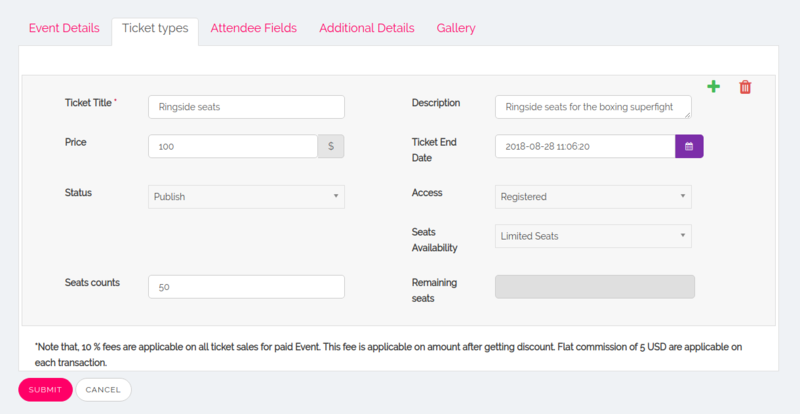 Site admin can decide the date range for “early bird” in which tickets for events up to a specific date range will be cheaper and after that, the tickets would be priced normally or they will be more expensive than the normal price. 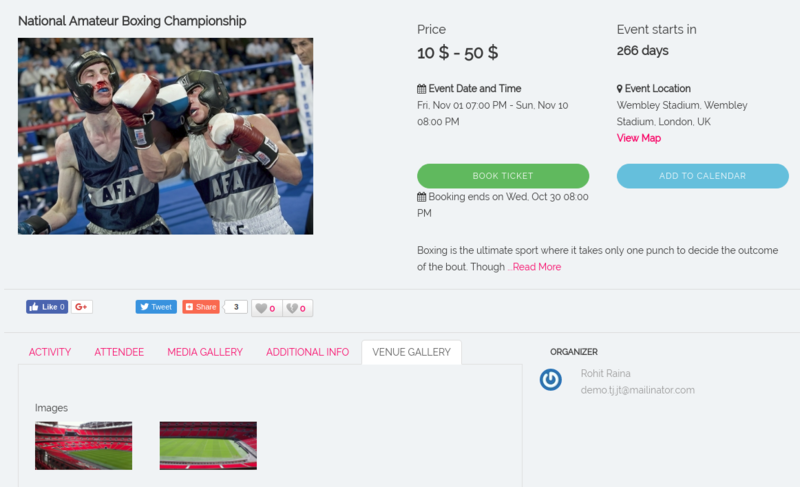 With JTicketing 2.3.0, we have added Joomla tag support for events. This plugin allows you to add Adobe Connect as a Venue for supporting your online events. The API integration allows you to automatically create related ‘Seminar Rooms’ in Adobe Connect and automatically create ‘Adobe Connect Seminars’ when you create an event in an online room. You also have a choice of choosing existing Adobe Connect events. You will need a paid Adobe Connect license to use this. You need to configure the license details when you create an online venue. Note that we currently use the Adobe Connect 9.1 API and events are created as Seminars. 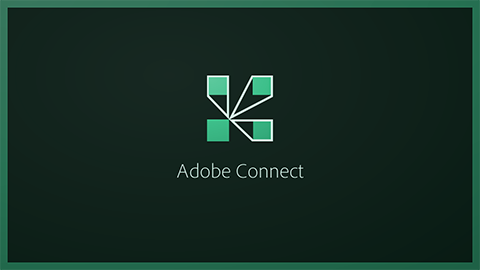 the Adobe connect integration is upgraded in JTicketing 2.0 release to take advantage of some additional APIs that allow for faster reporting and better integration. JTicketing adds some cool integrations with Shika LMS which will be seen in Version 1.1 of Shika. With JTicketing support, Shika will be able to support ‘Events as Lessons’ to created Blended learning courses. These events can, of course, be online or offline. A new Shika Dashboard widget also lets you show JTicketing events you attended or plan to attend. Shika users can start using JTicketing to manage Classroom or Scheduled Learning for their users right away! With TJ Vendors, you can manage Vendor content, fees & payouts among other things in a more unified manner and you can also now do centralised Payout management & also specify Vendor specific commissions. JTicketing 2.0 will be the first extension to adopt this infrastructure extension. This infrastructure extension allows us to do centralised notification management. ‘Email Manager’ in the backend will allow you to edit all the email content sent by JTicketing. In the future, we will see things like SMS/Text notifications, Web Push and much more! Our Horizontal extension for reporting - TJ Reports brings the power of enterprise quality reporting with report customization, Ajax CSV exports and Access control to JTicketing. This also opens up Vendor based reporting as well as Manager reporting. Our horizontal extension com_hiearchy is introduced in version 2.1 to let you manage User Hierarchy relationships. EasySocial event attendee count is updated for attendees that have bought Easysocial event tickets using JTicketing. Once an attendee purchases a ticket for the EasySocial event, then attendee count for the EasySocial event is updated for integration of JTicketing with EasySocial. Attendee report provides information on whether a user belonging to a particular user group has been approved to attend the event/whether he has enrolled for the event. Event report highlights the popularity of the events considering the number of enrolled users, attended users, likes and dislikes for the events. With the release of JTicketing 2.1, we have ensured that all views look great on all devices. Uniform HTML semantics make it easier to use our products on the same site. With this API other extensions can easily integrate with JTicketing and create events. JA Festival template is a perfect fit for JTicketing with it's user friendly interface and sleek template design. From version 2.1, we have introduced a new view which is accessible to Site admins on the backend and for Vendors & Managers (via com_hierarchy integration) on the frontend. This allows Admins, Vendors & Managers to manually enroll other users to Events. This is the first time I've used it, and I found it served my purpose brilliantly. One query I had was dealt with very efficiently.